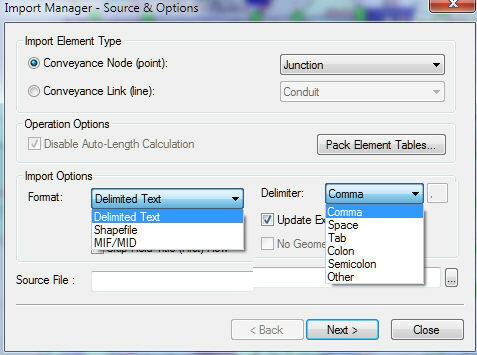 From the InfoSWMM and InfoSWMM SA Exchange menu select Import Manager. This will initiate the dialog box indicated below. 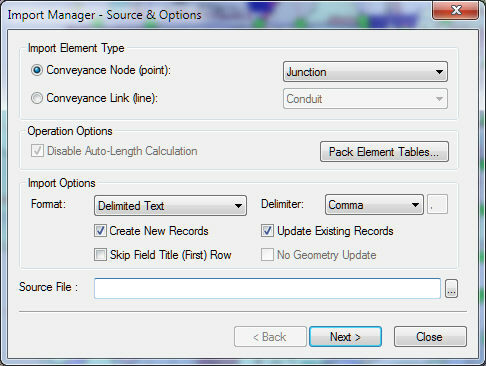 You may choose to check both options in order to simultaneously update and create new records in your InfoSWMM H2OMap SWMM project.